Taking a look at last year's Nextel Cup Chase for the Championship, you might have noticed an interesting pattern; six of the ten drivers were no older than age 32. Kyle Busch, in fact, set a record as the youngest driver ever to make a run for the championship, qualifying for the playoffs at the ripe old age of 21. No question about; in today's world of NASCAR, the youth movement has effectively taken control. And with today's young drivers finding themselves behind the steering wheel at an earlier age than ever, the amount of untapped talent is high. There's an immense amount of teenage sensations to sort through; read on to sift through the research and figure out which drivers experts say are better than Jeff Gordon and Tony Stewart at their age and which ones can be closer compared to Paris Hilton and Ryan Leaf. *Finding talent can be difficult* NASCAR has entered an era of youth - the timeline for success is short. In what has recently become a "what have you done for me lately" sport, NASCAR fans have seen promising young talent shoot up through the ranks, only to fizzle faster than a Paris Hilton hit single. Taking a look at last year’s Nextel Cup Chase for the Championship, you might have noticed an interesting pattern; six of the 10 drivers were no older than age 32. 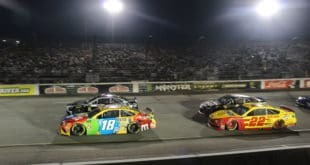 Kyle Busch, in fact, set a record as the youngest driver ever to make a run for the championship, qualifying for the playoffs at the ripe old age of 21. 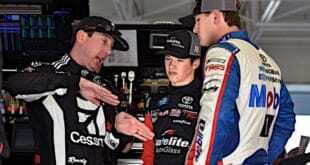 No question about; in today’s world of NASCAR, the youth movement has effectively taken control. And with today’s young drivers finding themselves behind the steering wheel at an earlier age than ever, the amount of untapped talent is high. There’s an immense amount of teenage sensations to sort through; read on to sift through the research and figure out which drivers experts say are better than Jeff Gordon and Tony Stewart at their age and which ones can be closer compared to Paris Hilton and Ryan Leaf. NASCAR has entered an era of youth – the timeline for success is short. In what has recently become a “what have you done for me lately” sport, NASCAR fans have seen promising young talent shoot up through the ranks, only to fizzle faster than a Paris Hilton hit single. Talent scouts search all across the country for the next Kasey Kahne, Martin Truex, Jr., or Kyle Busch only to discover that rating teenage race car drivers is nearly impossible. It’s just as much of a crapshoot as the NFL Draft; team owners more often than not sign the Ryan Leafs of the racing world than the Tom Bradys. Ask Burney Lamar, Mark McFarland, and Danny O’Quinn about that; all of them were Busch Series rookies fired by their Nextel Cup-linked car owners in the past year, frustrated by their inability to be prepped for the big leagues at such a young age. 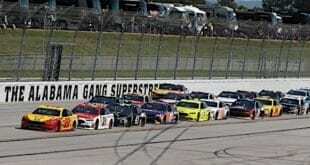 Still, development programs are the new fad of the NASCAR world with Roush Racing, Joe Gibbs Racing, and Chip Ganassi Racing at the forefront with four or more developmental drivers each. Roush is leading the charge with five drivers ranging from the Busch Series to legends cars. While the success of former Roush developmental driver and current Nextel Cup rookie David Ragan is still up in the air, the organization has an abundance of young talent if he doesn’t necessarily pan out. 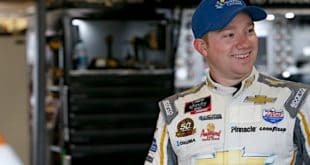 While Todd Kluever finds himself with a Busch ride, the team’s future star may very well be 2006 Craftsman Truck Series Rookie of the Year, Erik Darnell. Darnell, winner of Roush Racing’s “Driver X” program in 2005, floated around the top 10 in each race early in his rookie season. All the pieces fell in place towards the end of the year with Darnell picking up five consecutive top 10s, including three top threes, in his final five races. Heading into 2007, Darnell is a favorite for the Truck Series title, but his path to Nextel Cup may be a lengthy one, similar to Greg Biffle‘s years ago. Smith, founder of David Smith Motorsports, believes that Darnell and Travis Kvapil are the only formidable non-Toyotas in the Truck Series. One of those Toyota drivers is rookie Josh Wise, who recently signed with Michael Waltrip Racing and will split time in the No. 00 truck (formerly the No. 17 driven by David Reutimann) with Nextel Cup rookie A.J. Allmendinger. Wise, a two-time USAC champion, has followed the same path of drivers like Ken Schrader, Stewart, and J.J. Yeley, and appears to be the future of MWR. Joe Gibbs Racing found a gem last season in Denny Hamlin who finished third in Nextel Cup points in his rookie season. Gibbs hopes to have the same success in the Busch Series with Aric Almirola and Brad Coleman. Running full-time for Wayne and Connie Spears’ No. 75 Truck, Almirola finished 18th in Truck Series points last season with three top 10s; he also competed in nine Busch Series races with a best finish of 11th. Coleman, meanwhile, is Gibbs’ talented young gun. At 17 years of age last season, Coleman competed in nine ARCA races, finishing in the top five an astonishing eight times, including a green-white-checkered victory over Frank Kimmel at Kentucky Speedway. A driver also on the verge of breaking out this season is Steven Wallace, driving a Busch Series car owned by his father Rusty. Steven made 17 starts last season with a best finish of eleventh, although finished on the lead lap just three times. That inconsistency plagued Wallace, who at times to be extremely quick when he didn’t suffer from erratic driving. With more seat time this season by running a full schedule, we’ll get to see just how talented Wallace is this year. One thing talent scout Smith wants people to understand is that Wallace is not where he is because of his name. The biggest question for drivers, fans, and owners though is when will these drivers be ready for Nextel Cup? It all depends on what rides open up, but Smith believes Almirola will get the first shot. The amount of talent yet to see NASCAR action is absurd. Never has their been a more capable group of drivers yet to turn 18. Remember the impact of the 2003 NBA Draft Class when LeBron James and Carmelo Anthony were drafted in the top three picks? They were surefire picks – the future of the NBA. Ganassi Racing prospect Bryan Clauson and Hendrick Motorsports’ lone prospect Landon Cassill are simply waiting until they’re old enough to set the NASCAR world on fire. It’s easy to exaggerate, or overestimate, the talent of an up-and-coming prospect, but Smith believes we are watching NASCAR’s version of that 2003 NBA Draft Class. Darnell is essentially bringing back the same team this season as the one that he finished the Truck Series strong last year. There are no excuses for a campaign short of a top five while Wise deserves a season to evolve. He steps into a Toyota ride, a manufacturer that is dominating the series, but it’ll be interesting to see how long it takes until he becomes competitive. Consistency is a key for all of the Busch Series prospects. Almirola’s path to Cup is already paved; all he has to do is prove to the organization that he won’t tear up their equipment. The same goes for Steven Wallace, who needs to find that balance between over-driving and driving fast. Coleman is in the same situation as Wise. He’s young and talented, and for both of them seeing the checkered flag is more important that winning the checkered flag. But then again, isn’t that the main lesson most young drivers need to learn in the first place? So what exactly goes into evaluating talent? Are they living up to their equipment? Do they take care of their car? How do they react in traffic? How do they interact with their crew, competitors, and fans?